With the release of the new Fate/ hollow ataraxia, i found some scans of the official manga. I didn't find them on the site, so I'm uploading them here. I don't know anything about the series they're from, but it's a very cute scan! Nice job. So cute! 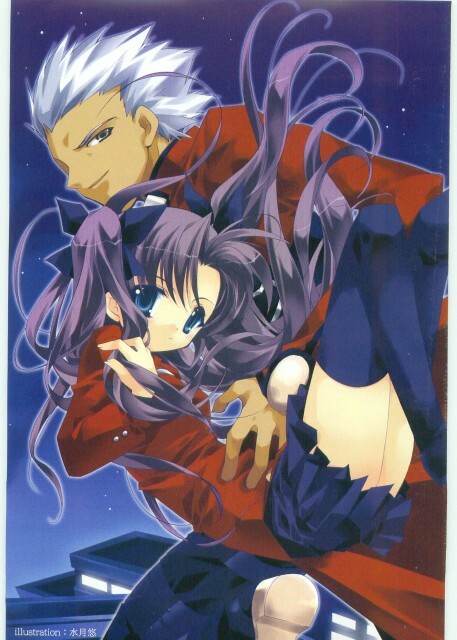 Archer looks Great and Rin looks very pretty. I love this pairing, thank you. Awies, this is beautiful. ;O. -Gasp. And Rin is extremely cute.~ Nice. Haven't played the game ^^ but this scan is cute!